We launched a campaign at the start of July where anyone interested could test out the latest Intel Optane SSDs (see link for more details). It’s no exaggeration to say that the release of the Optane disk is a revolution in the field of information storage. In this article, we’ll be talking the technologies these new disks are based on and the benefits they offer. 3D XPoint (read as 3d crosspoint) is a new nonvolatile memory technology based on Phase-Change Memory (PCM). When we called the Optane a revolution at the beginning of this article, we weren’t just chalking up marketing: in essence, we took part in the initial launch of this memory for mass production. Intel hasn’t disclosed all of the specifics of the 3D XPoint, and understandably so. Moreover, the company has denied in public statements that the memory is on based PCM. Still, there is some indirect evidence (see here for example) that leads one to believe this isn’t the case. 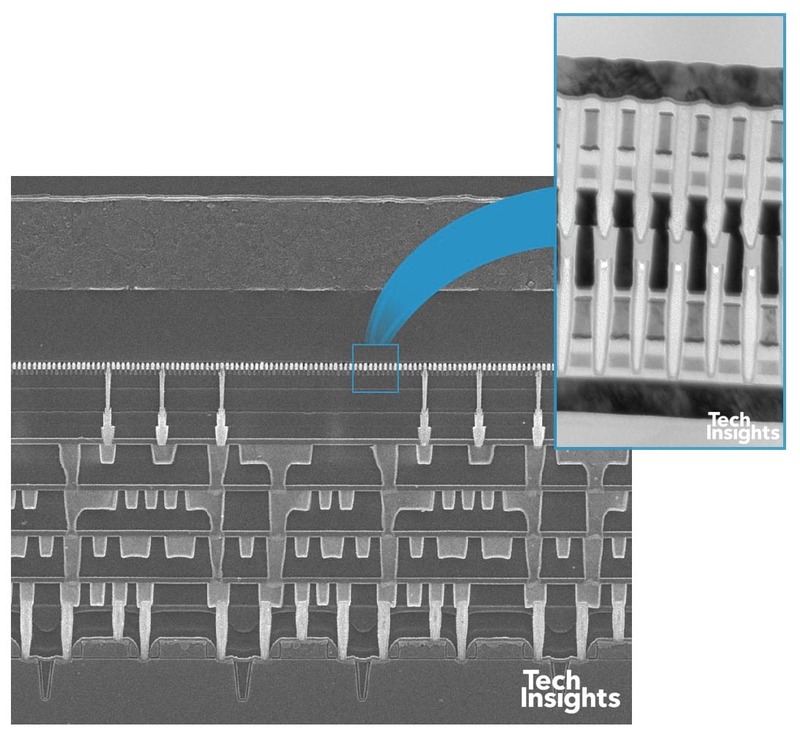 It’s quite possible that some hybrid technology lies at the foundation of the 3D XPoint. Taking all of this into consideration, we’ll only be relying on information published in open sources. The idea of PCM-based memory is nothing new: the American inventor Stanford Ovshinsky described it way back in the 1960s. In 1970, an article about PC technology was published by one of Intel’s founders, Gordon Moore. Over the past 10 years, there have been multiple attempts to manufacture this kind of memory, but the over-sized mesh and complicated technological process stood in the way of its wide distribution. Only now has this problem been resolved. And Intel is keeping the secret. To understand how 3D XPoint works, let’s look at what exactly Phase-Change Memory is. A phase change is the transfer of matter from one thermodynamic phase to another under changing external conditions. We won’t look at the details of the process, but anyone interested can look at the Wikipedia article, where the details are explained fairly clearly. Matter that can make these kinds of phase changes is referred to as metalloids (or semimetals), which are chemical elements that have both metal-like and non-metal properties. At room temperatures, metalloids are insulators, but when heated up, they become highly conductive. Boron is usually used for doping and Silicone for manufacturing standard transistors. Metalloid alloys can change from one phase to another, which changes their resistance. In the amorphous stage, they more closely resemble glass, while in the crystalline phase, they are more metal-like. 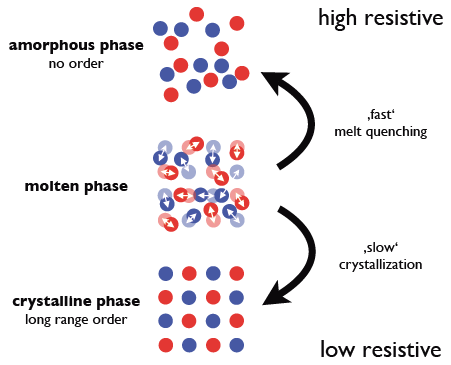 Electrical resistance is different in the two phases: the amorphous phase offers major resistance (logical unit), and the crystalline phase offers less (logical zero). Due to this property, chalcogenides are excellent for writing information, and they have already been used as such: materials based on chalcogenides are used to make CD-RWs and DVD-RWs. This table comes from an article published in 2011. At that time, phase-change based memory existed only as a prototype. It’s interesting that many of the characteristics shown here coincide with the actual 3D XPoint properties, but there are still some differences. In the next section, we’ll take a closer look at the technical side of 3D XPoint Memory. Having looked at the general principles behind Phase-Change Memory, let’s move on to a description of the 3D XPoint device. We’ll start by looking at its technical specifications (information collected from TechInsights). The size of the 3D XPoint memory module is 17.6 x 13.7 mm (241.12 sq.mm) and holds a single XPoint memory die.The size of the die is 16.16 millimeters in length and 12.78 millimeters and width. The memory efficiency of the die is 91.4%. This is more than comparable indicators for the Samsung 3D 48L V-NAND (70%) and Intel/Micron 3D FG NAND (84.9%). The memory density of the 3D XPoint is 0.62 Gb/mm2, which is significantly lower than many of the 2D NAND and 3D NAND memory modules available on the market. To compare: the memory density of the Toshiba/SanDisk and Samsung 3D 48L TLC NAND is 2.5 Gb/mm2 and the Toshiba/SanDisk 2D TLC NAND is 1.28 Gb/mm2. In this case, the DRAM value for this indicator is almost 5 times lower. We can justifiably say that RAM modules based on 3D XPoint will receive wide distribution in the near future. As we can see, its construction is fairly simple: pairs of selectors and memory mesh are located at the intersection of two perpendicular rows of cables (hence the term crosspoint): a bitline and wordline bus. When a current is given, the selector activates, which launches either a read or write operation. The die contains several layers of mesh, hence the 3D classifier. The first generation of 3D XPoint has a two-layer structure and is manufactured with 20 nanometer process technology. Compared to NAND, the packing density of the 3D XPoint mesh is 8-10 times higher. PC-based memory works much faster than traditional flash memory. Experiments have demonstrated that the write time to one PCM mesh is 19 nanoseconds versus the several milliseconds required to write to one flash memory mesh. An important advantage of this memory is its longevity: if flash memory can sustain up to 10,000 rewrite cycles, then 3D XPoint memory can sustain 100,000,000 cycles! The previous part of this article was dedicated to the theoretical aspects of 3D XPoint technology. We’ll now look at its practical aspects and talk about the features and advantages that Intel Optane has to offer. A distinct feature of flash memory is its availability at the page level: to read or write a small amount of data, large memory blocks have to be manipulated. This ensures low latency, which is important when working with things like overloaded databases. Drives built on 3D XPoint technology are built differently: similar to DRAM, it’s possible to bitmap memory access. This provides for a level of latency 100 times lower than NAND which completely avoids garbage collecting operations and saves energy. Optane Drives can be used not only for storing and caching, but for expanding RAM. By just installing a special program, the OS detects Optane as RAM instead of a disk. The system will then be able to manage massive amounts of memory, significantly more than the architecture provides for. Data is distributed between RAM and Optane automatically. Intel Memory Drive Technology can be used in big data and machine learning: it lets you store major bodies of data in memory and access it with minimum latency (you can read a note about this here). Increasing the amount of memory with Intel Memory Drive Technology is beneficial from a purely financial point of view as well: 1GB of DDR4 memory costs roughly 10 dollars. In the case of Intel Optane, far from the lowest current price for 1 GB costs just over 4 dollars, almost two and a half times less! Intel’s site gives gives the following property for the Optane: 30 DWPD (Drive Writes per Day). This means that the drive can fill up with information, purge, and be rewritten 30 times. 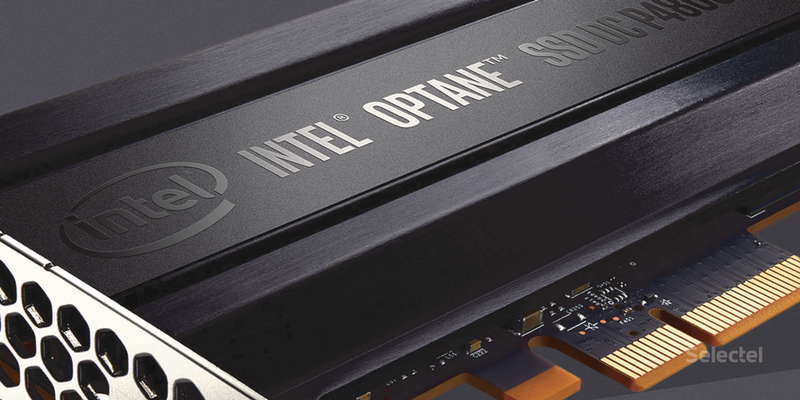 This makes the Intel Optane a great caching disk for cloud-based data storage services and corporate data storage systems: it can handle any workload. Another important property is the TBW (Total Bytes Written), meaning the total amount of information that can be written to the disk over its lifespan. The Intel Optane offers an impressive 12.3 Petabytes. These figures demonstrate that the new drives can be used practically indefinitely and completely justify the price. As we’ve already said, our users can test drive these new drives for free. The terms and conditions of the campaign are simple: you sign up to be a tester and we issue you a server built on the Intel Optane P4800X. You publish your findings in an article or report on your site, blog, or any other thematically relevant resource. If your article is particularly interesting, we’ll consider publishing it on our blog as a guest post.